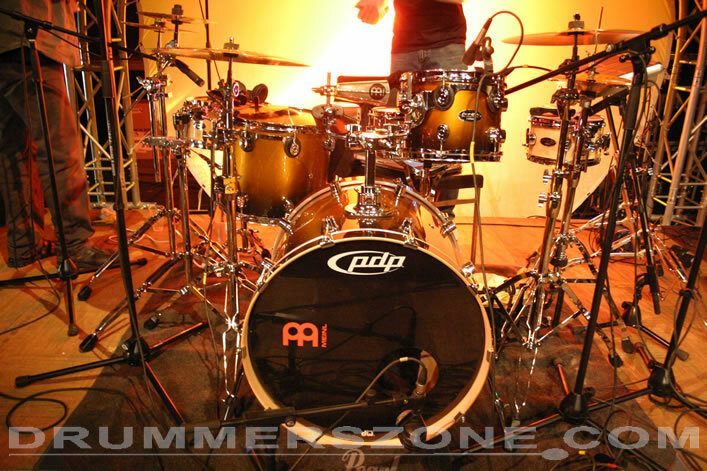 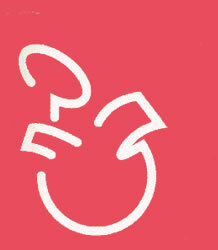 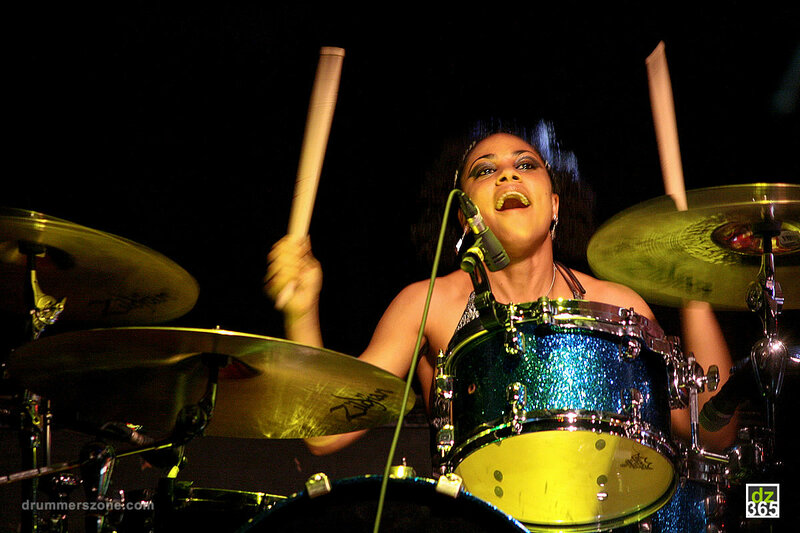 The second International Meinl Drum Festival took place on July 13th at the Teatro Metropolitan in Mexico City. 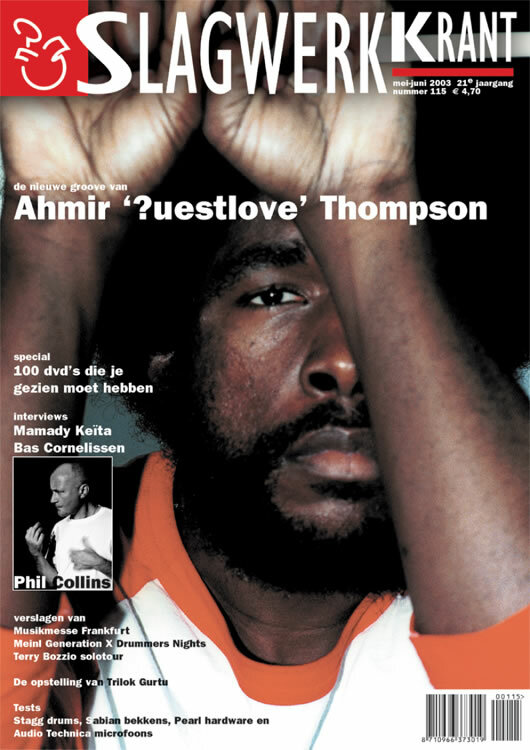 Official biography published on social media (January 06, 2017). 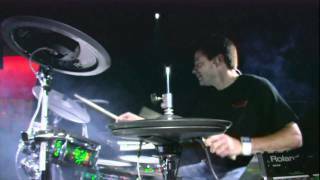 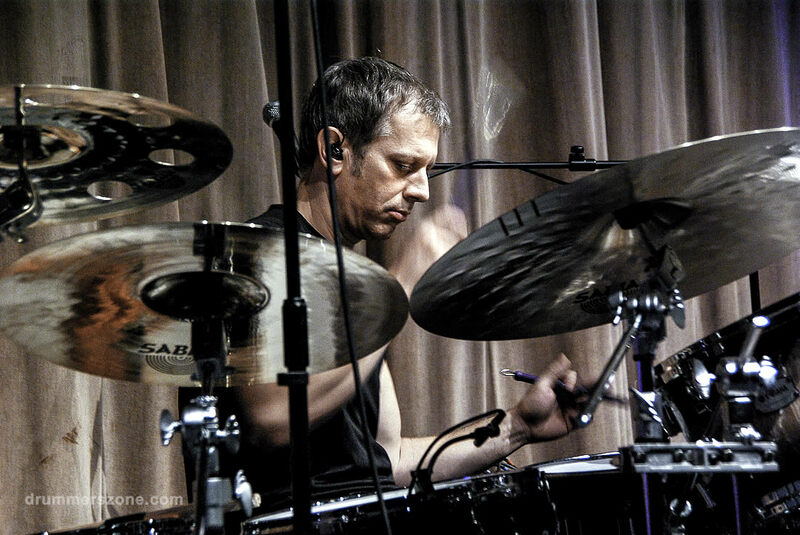 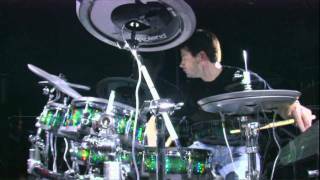 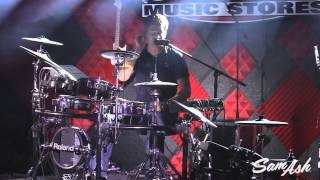 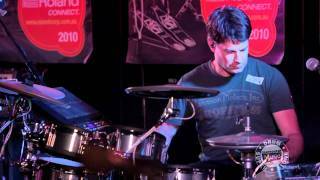 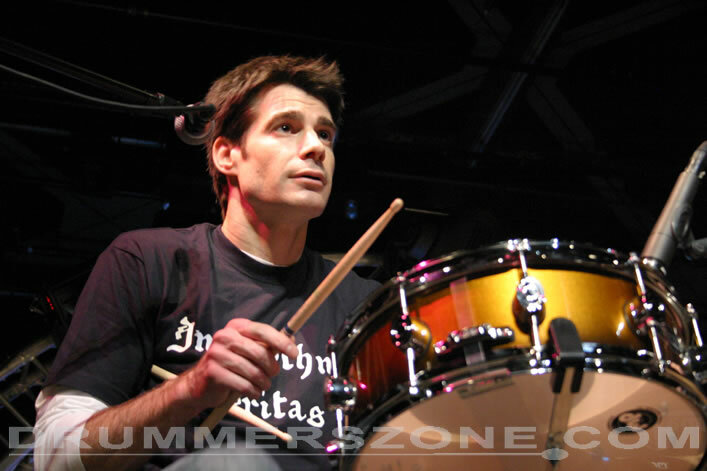 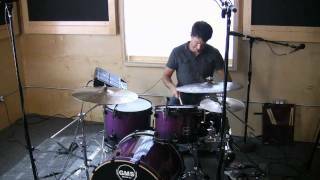 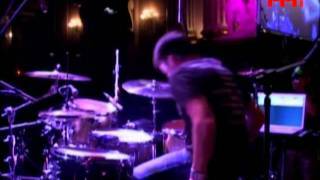 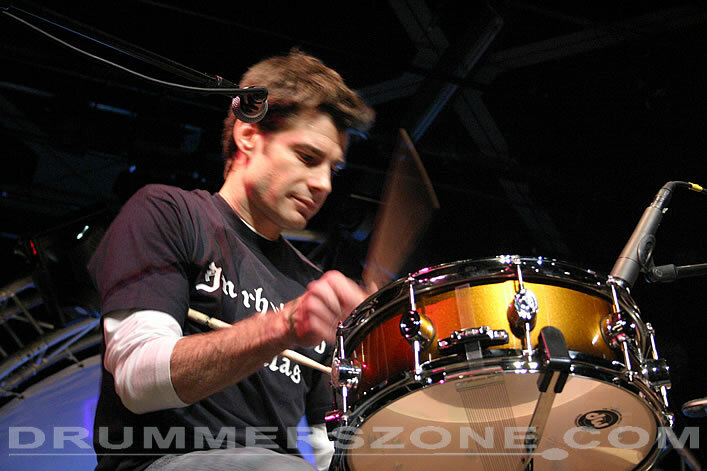 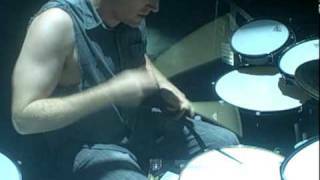 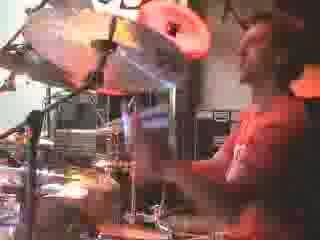 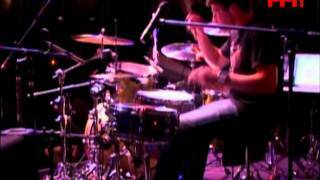 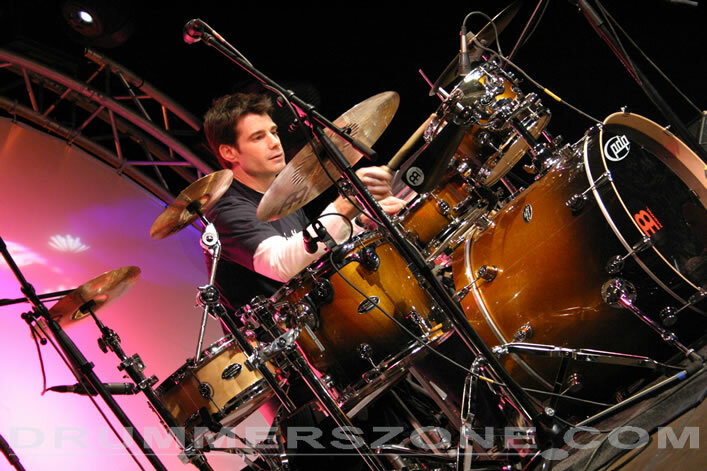 Johnny Rabb is an active live and studio drummer living in Indianapolis, IN. 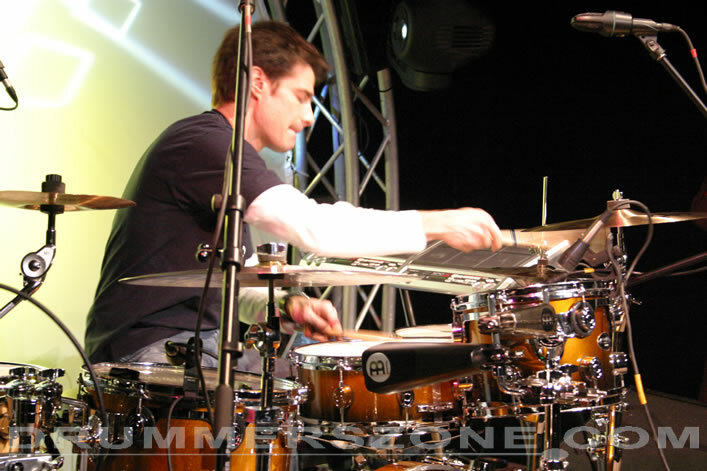 As an educator and author he embraces the growth of technology and continues to teach worldwide. 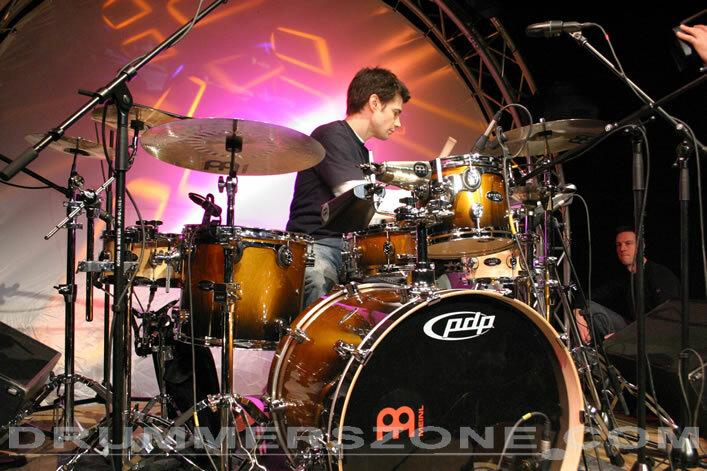 As a designer, Johnny has been fortunate enough to develop a series of cymbals with the MEINL cymbal company. 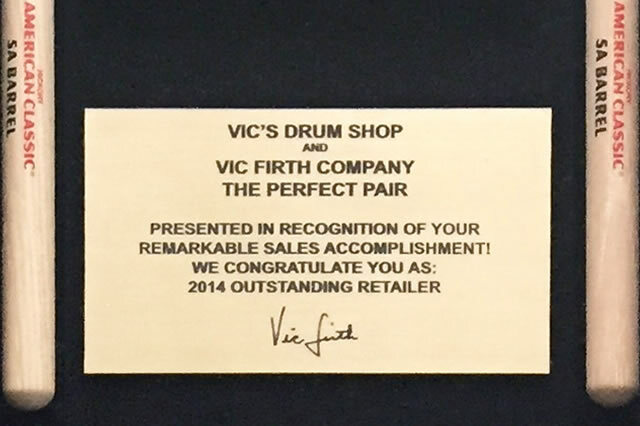 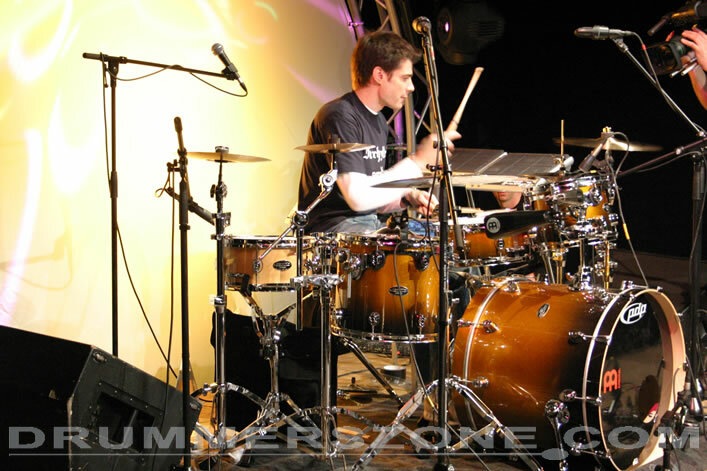 His Drumbals and Safari cymbals are part of the award winning Generation-X line. 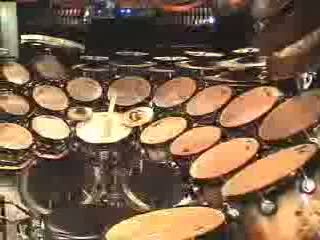 He also created the patented RhythmSaw Drumsticks in 1999. 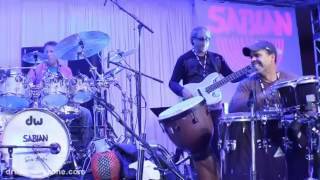 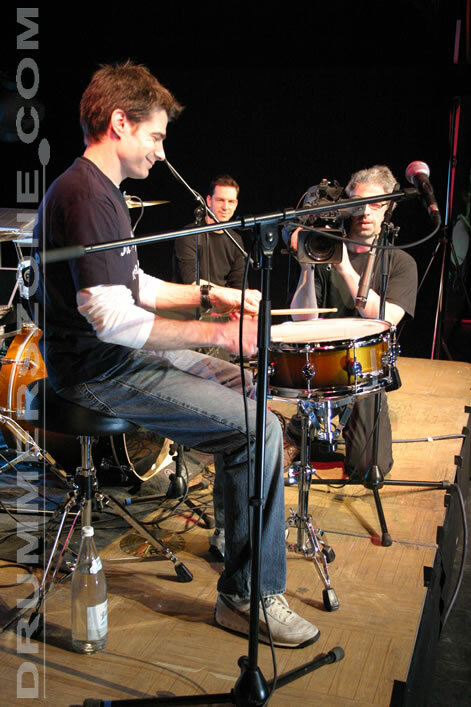 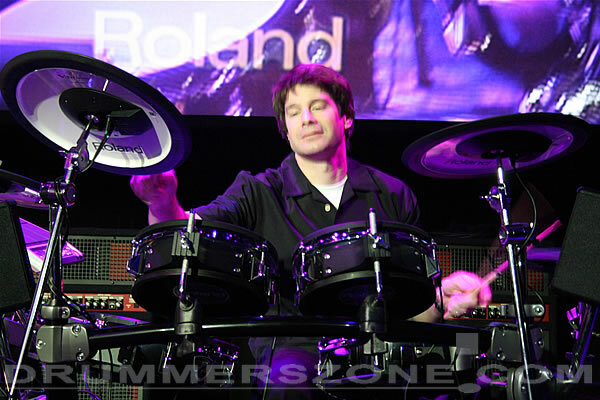 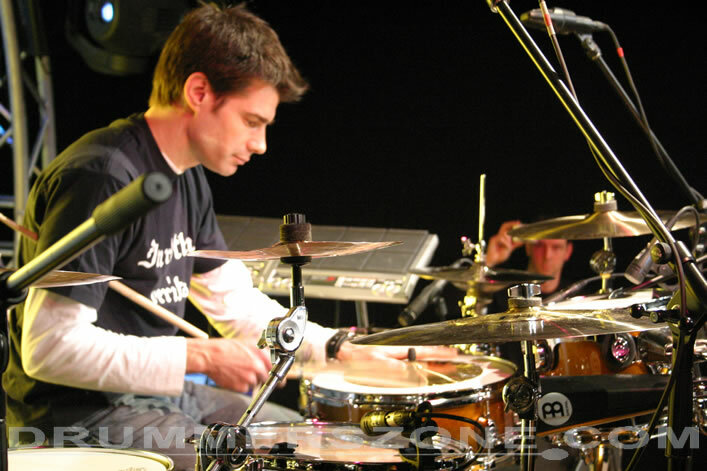 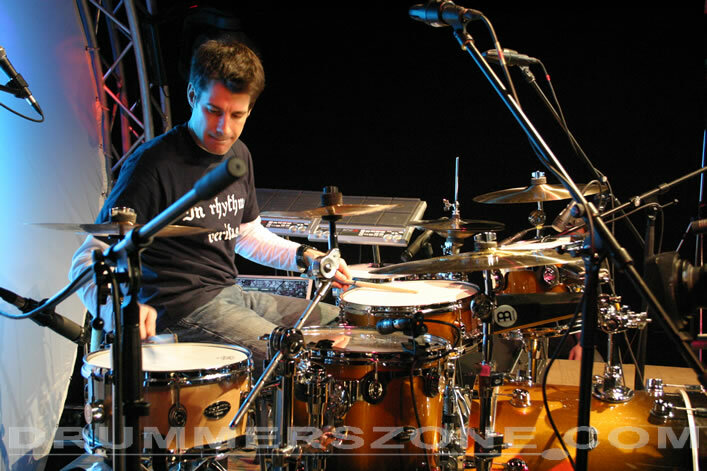 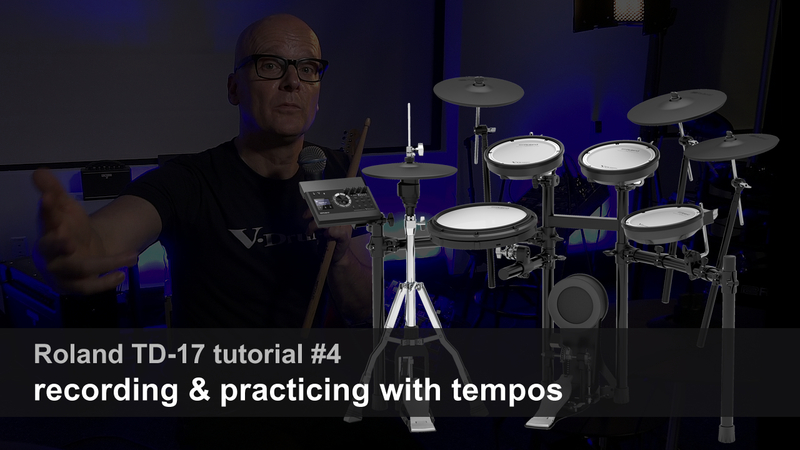 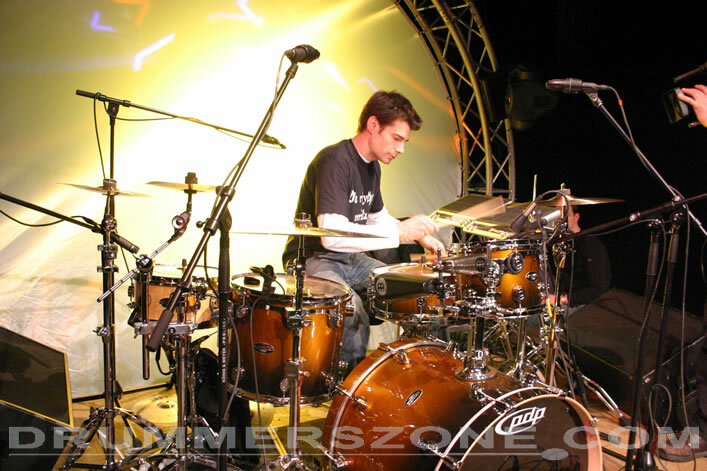 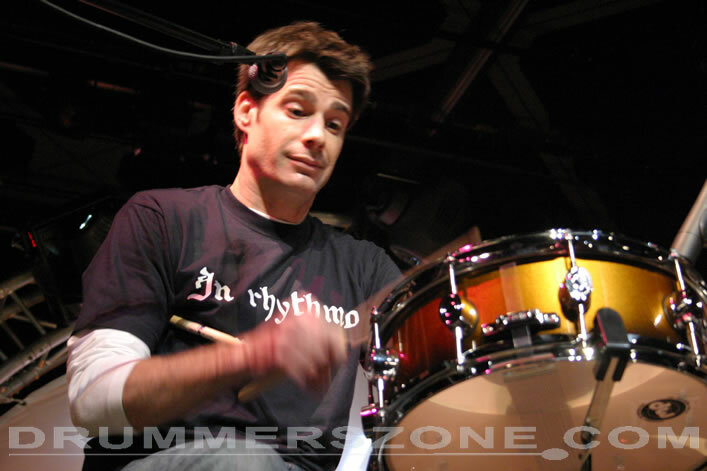 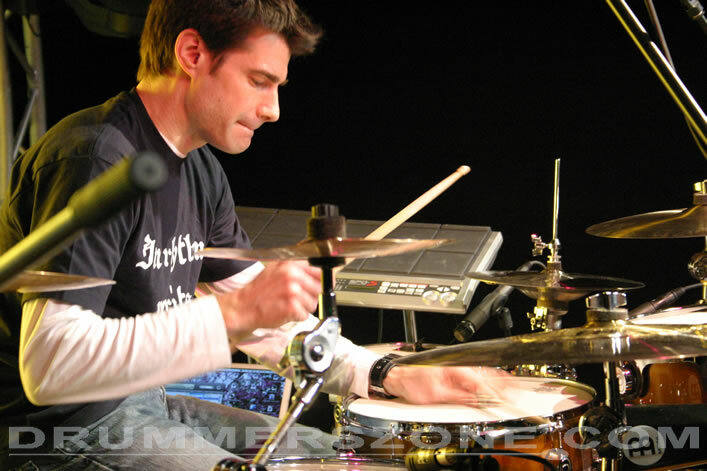 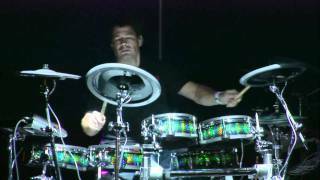 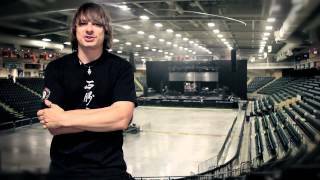 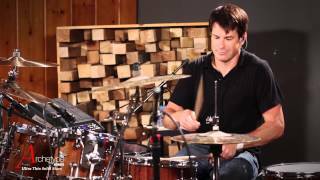 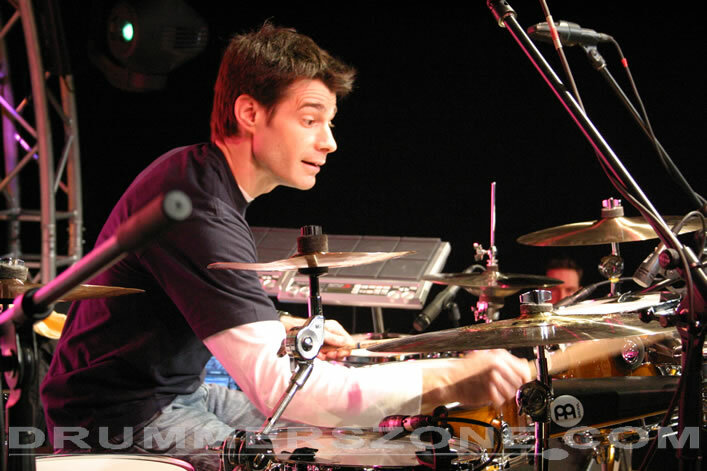 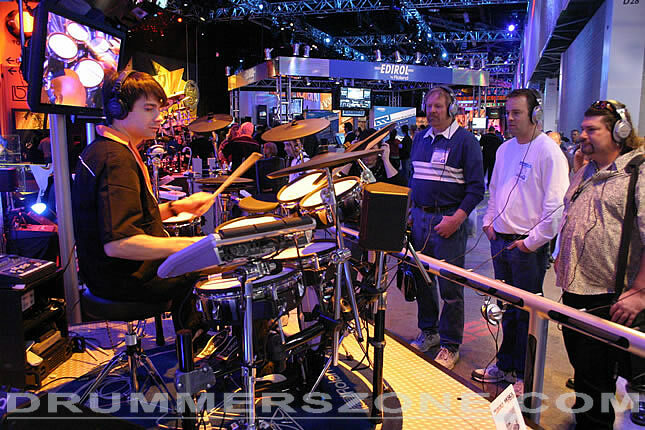 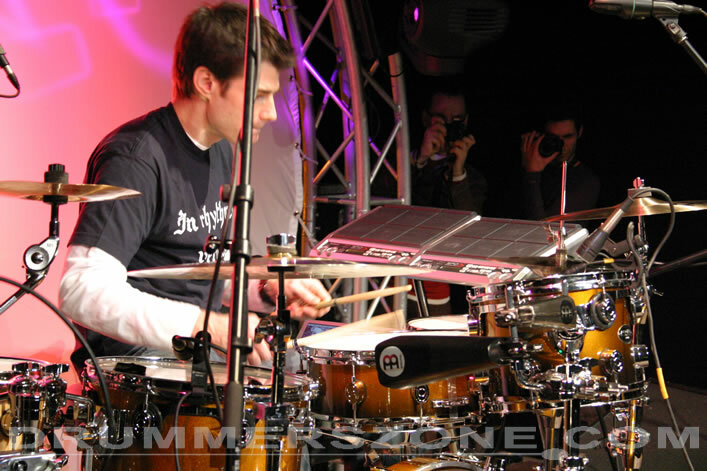 Johnny Rabb is a popular global clinician and product specialist for the expressive and powerful Roland V-Drums. 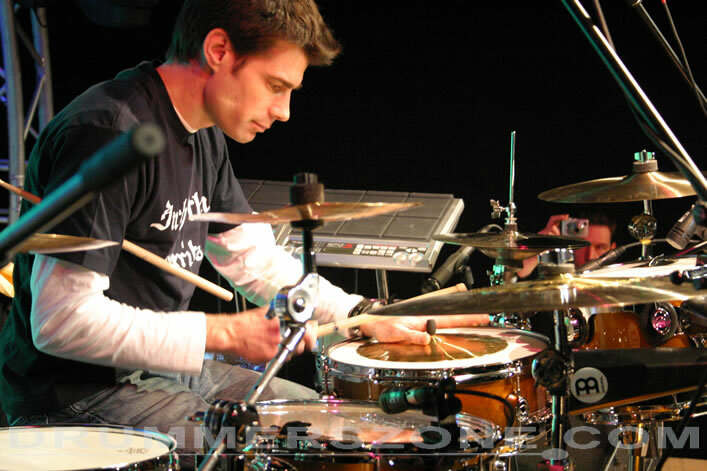 In his productive tenure with the Roland team, he has programmed drum kit patches for the Roland TD-12, TDW-20 and SPD-30 Octapad . 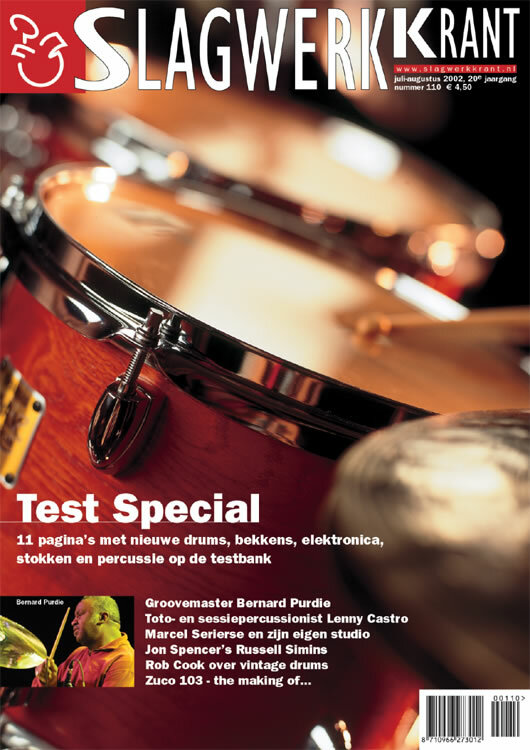 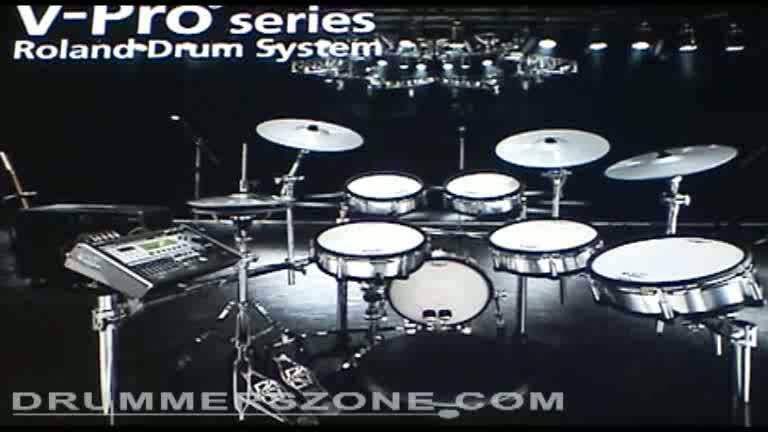 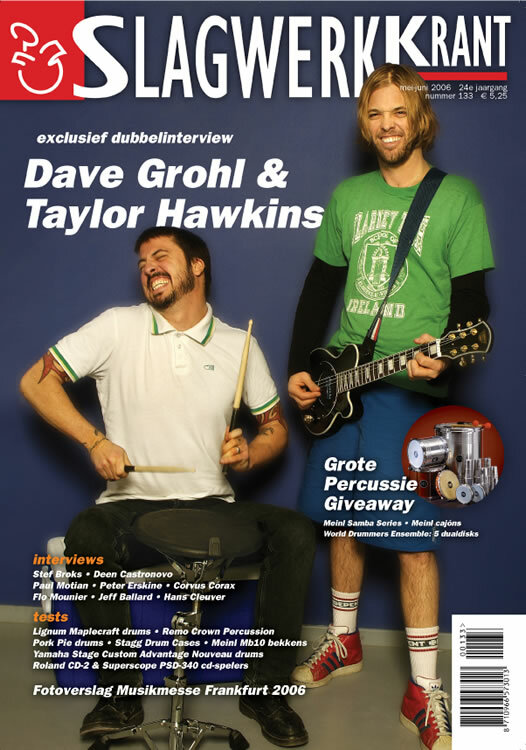 Johnny also has been featured in the HD-1 and TD-20KX DVDs demonstrating the instruments. 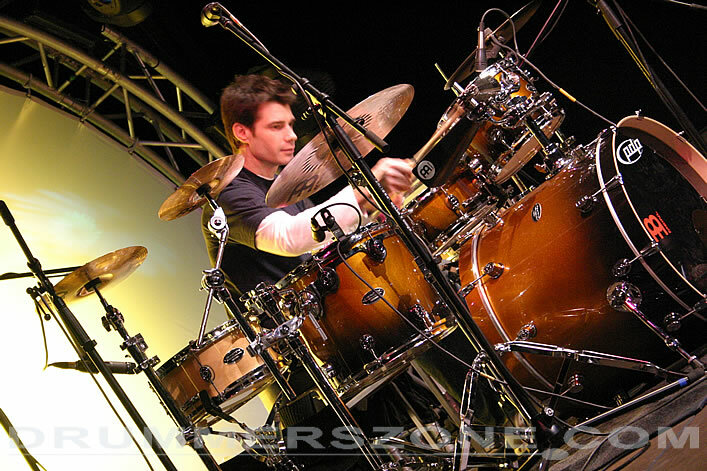 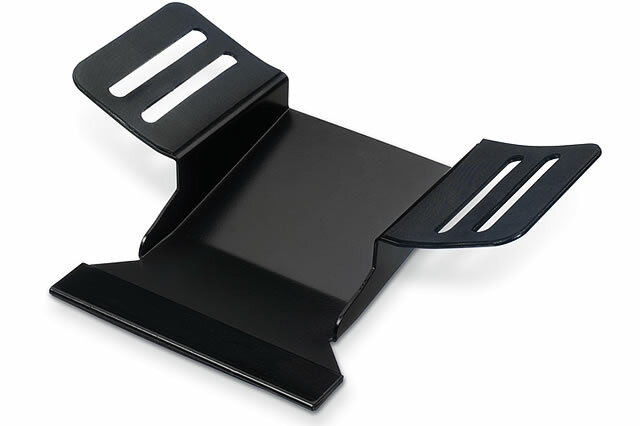 He continues to work closely with Roland Japan and the R&D team on product innovation. 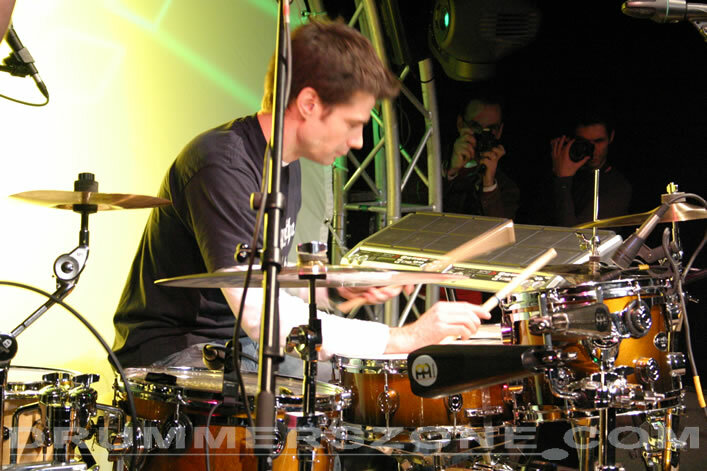 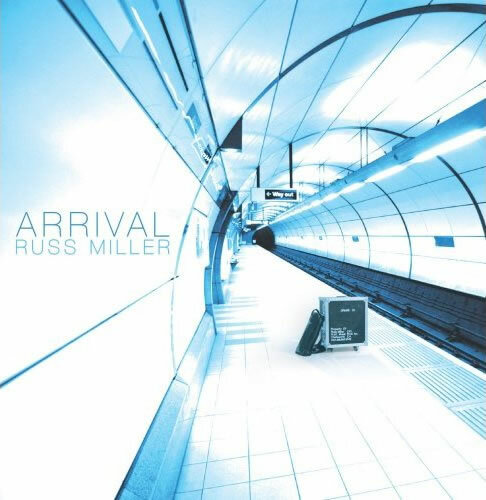 He continues to design and develop new sounds and innovations for his unique concepts on the drums. 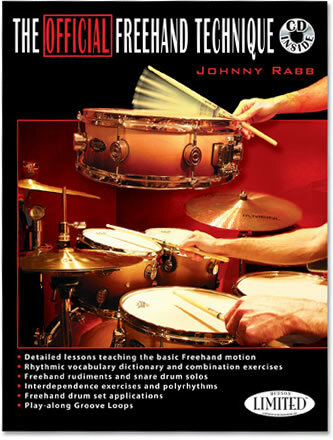 As an author, Johnny continues his passion for education. 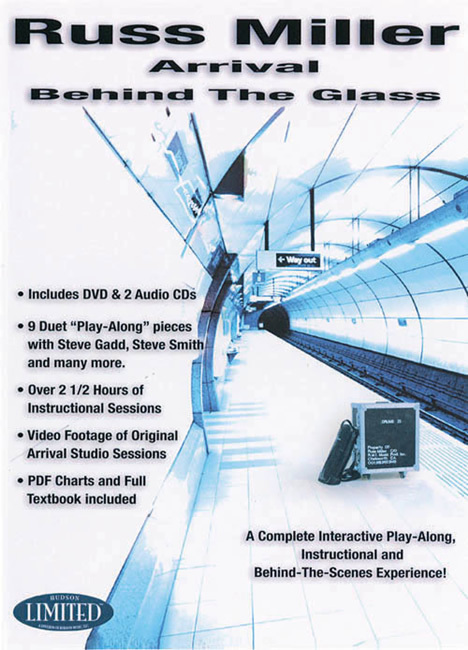 He has released The Official Freehand Technique Book/CD with Hudson Limited. 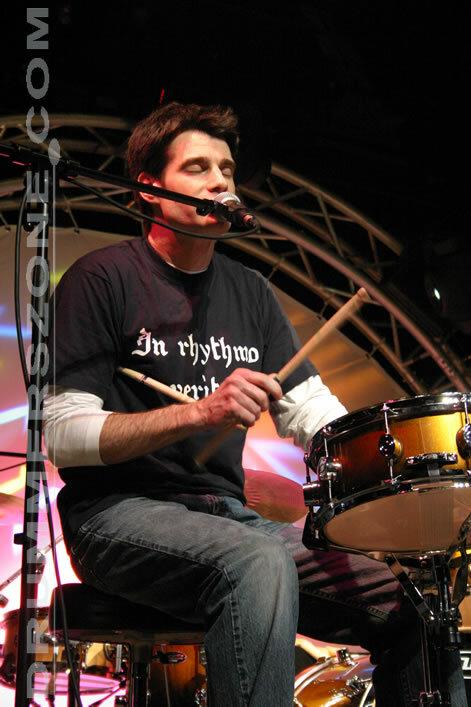 Johnny was also voted #1 Best Educational Author by Modern Drummers Readers Poll for his book Jungle Drum N Bass for the Acoustic Drum Set. 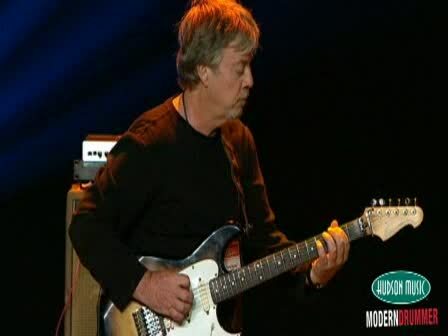 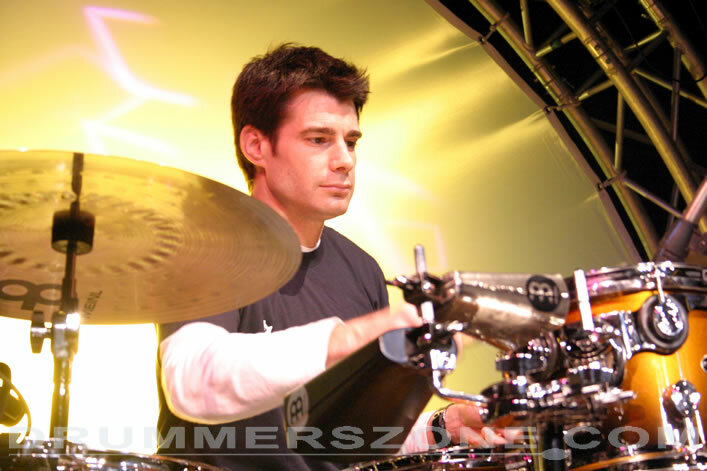 He has performed with a wide range of artists such as Collective Soul, DJ Logic, Maynard Ferguson, Alain Caron, Frank Gambale, Larry Tagg, Tanya Tucker, DJ Hype, Hank Williams III, SheDaisy, Deana Carter and Mindy McCready. 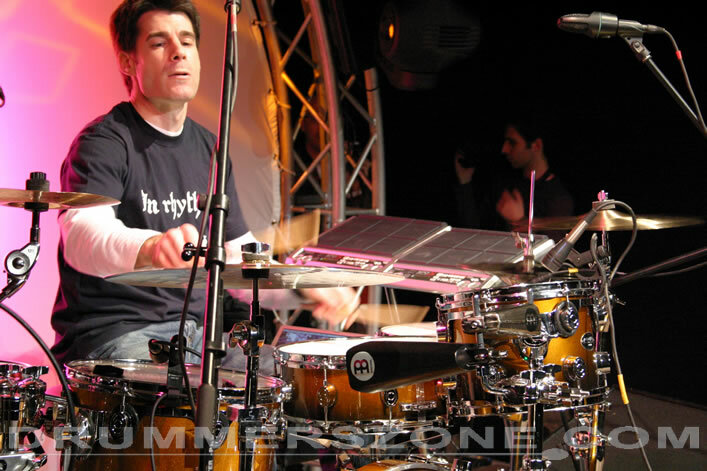 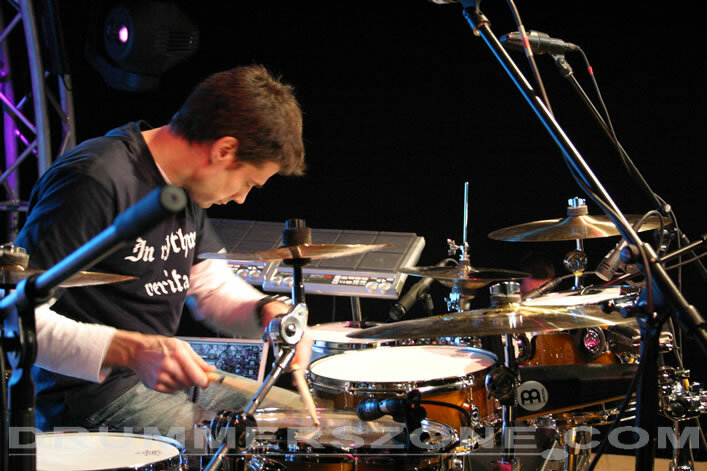 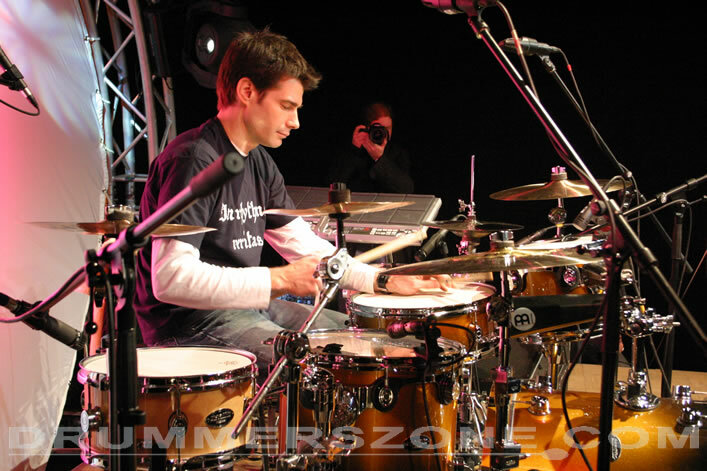 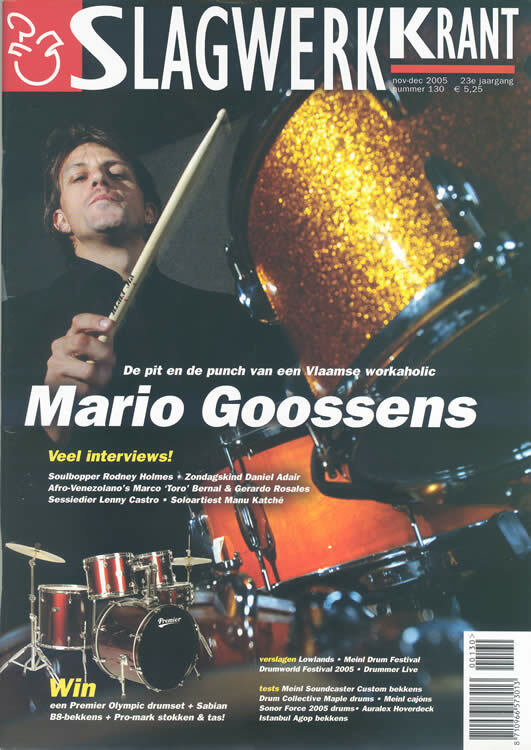 He has traveled worldwide conducting clinics and master classes including the Montreal Drumfest, PASIC, Musik Messe, Meinl Drum Festival 2005 & 2008. 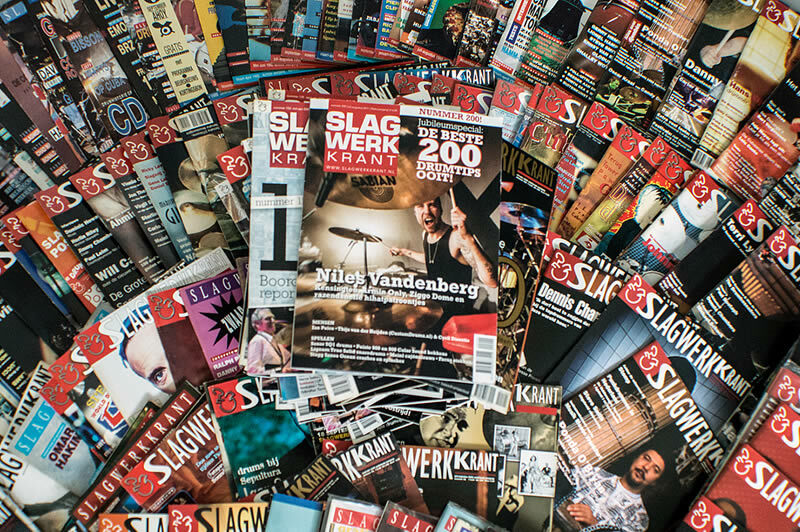 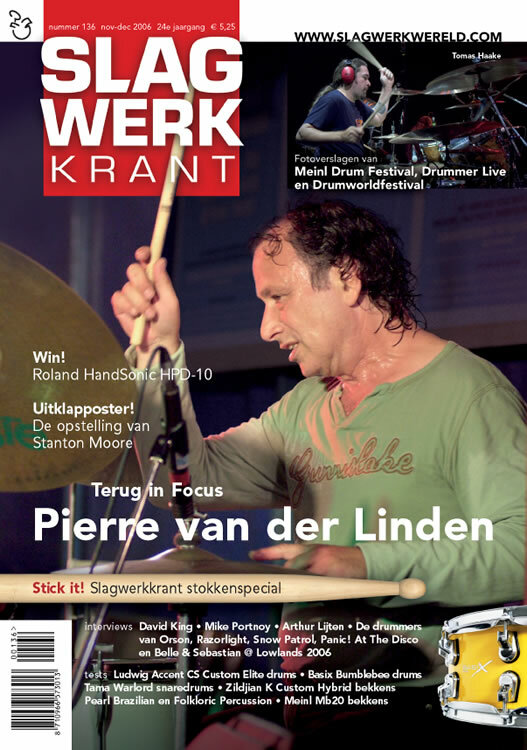 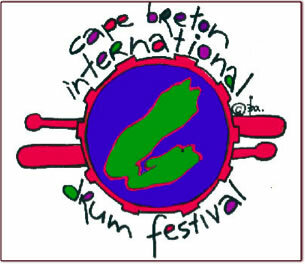 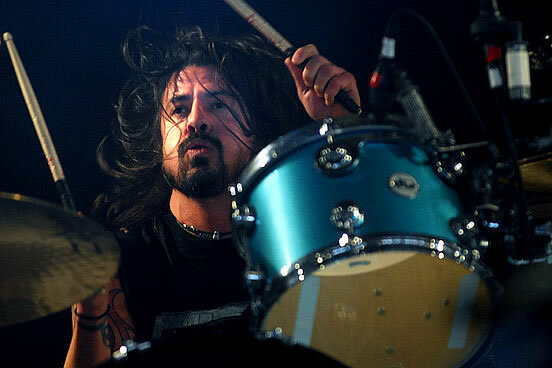 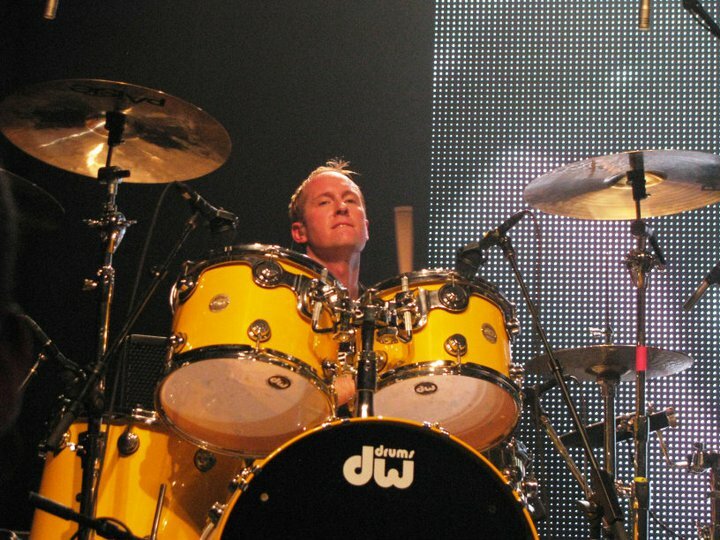 Drummer Fest (Belgium) and the Ultimate Drummers Weekend (Australia), to name a few. 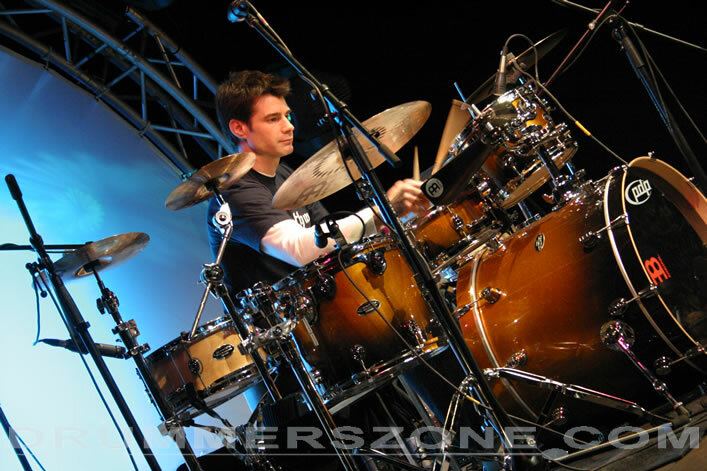 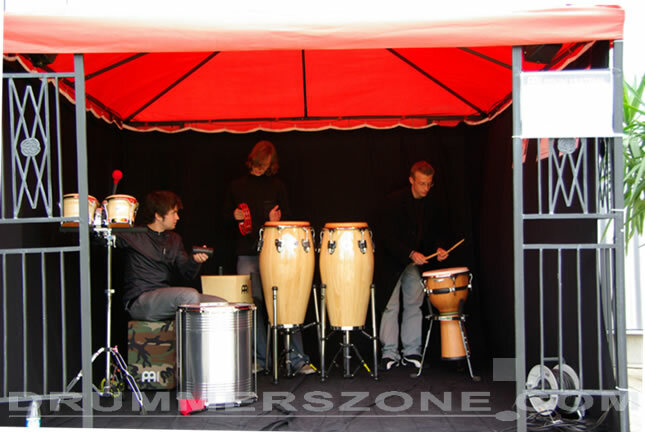 He has also instructed at world reknown drum camps and universities, including KOSA and RHYTHM (Bavarian Music Academy). 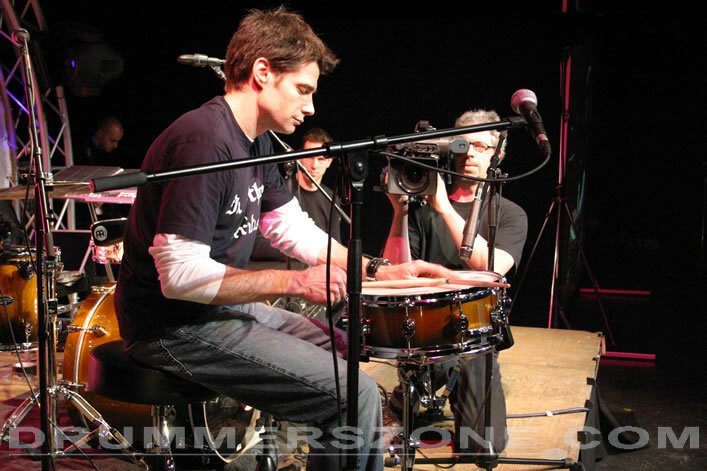 Johnny has also taught classes at the University of Iowa, Berklee College of Music and University of Tennessee as a visiting artist. 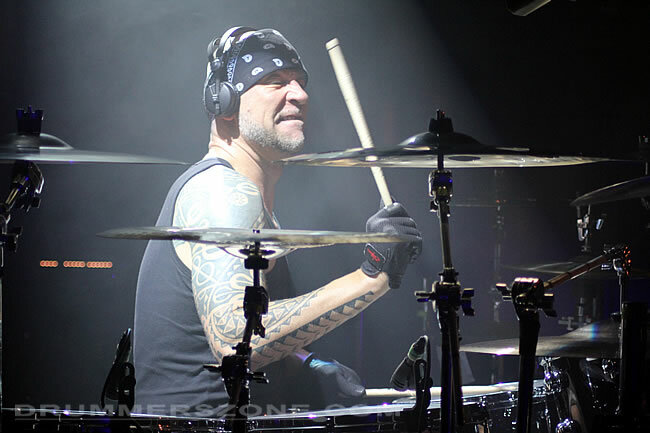 Johnny stays busy playing shows with his group BioDiesel. 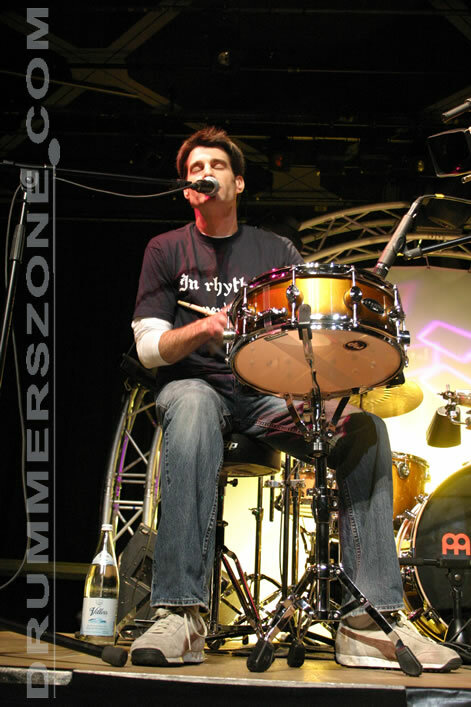 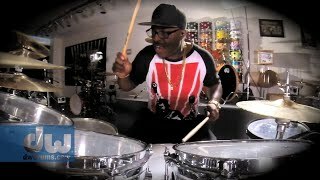 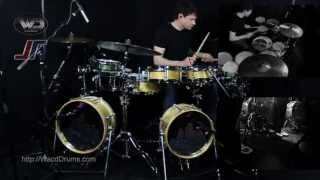 He performs with Roland V-Drums, MEINL cymbals, Ableton LIVE, REMO drumheads, Johnny Rabb Drumsticks, Cympads, Kick Port, Pro-Logix Practice Pads and AUDIX microphones. 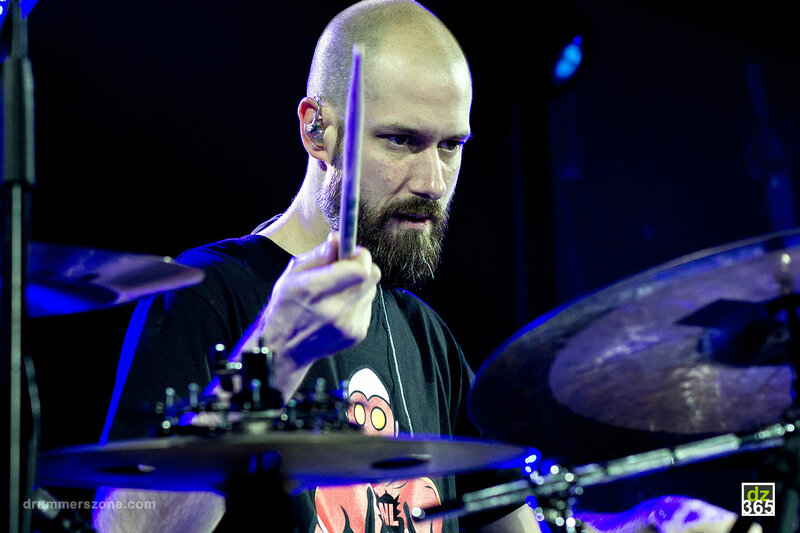 Johnny Rabb has worked with: Super Action Heroes, Chris Patterson, Jerry Navarro, Sean Smith, Thomas Lang, Marco Minnemann, Luke McNamee, Eddie Angel, Hank Williams III, and Tanja Tucker, among others. 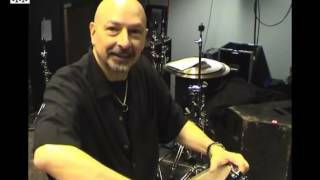 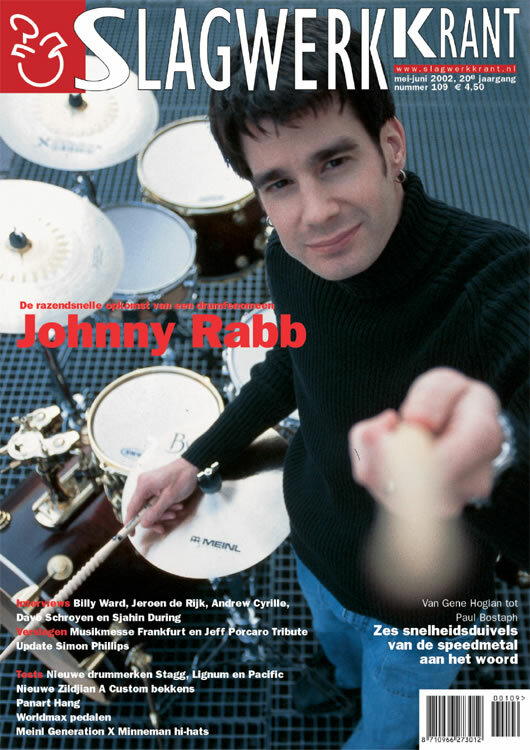 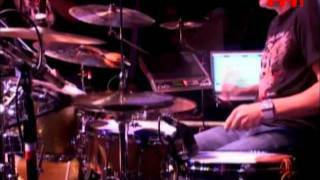 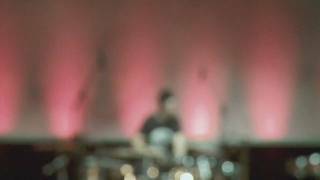 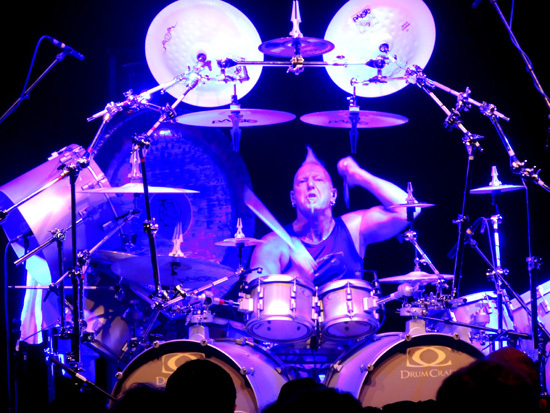 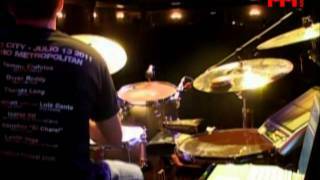 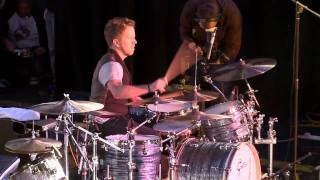 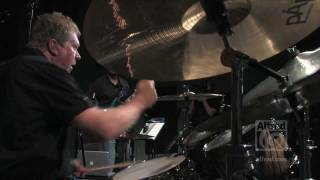 Johnny Rabb has also published his own instructional drum videos, children�s books, and solo album. 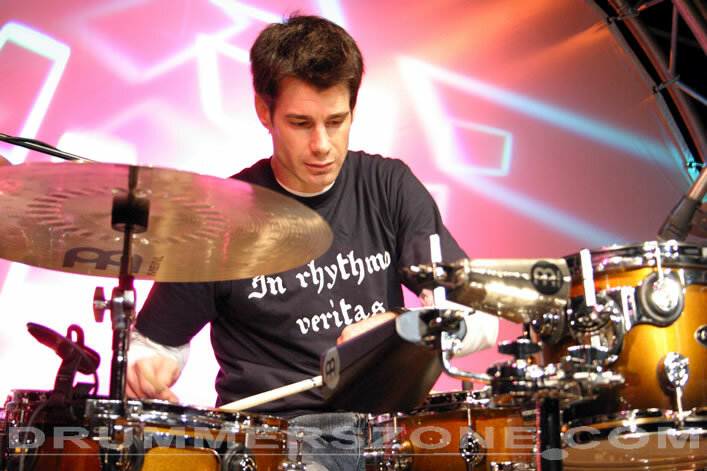 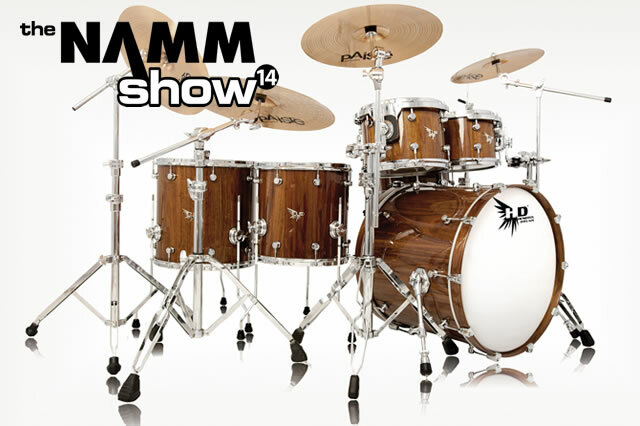 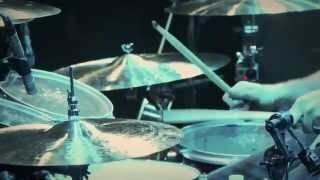 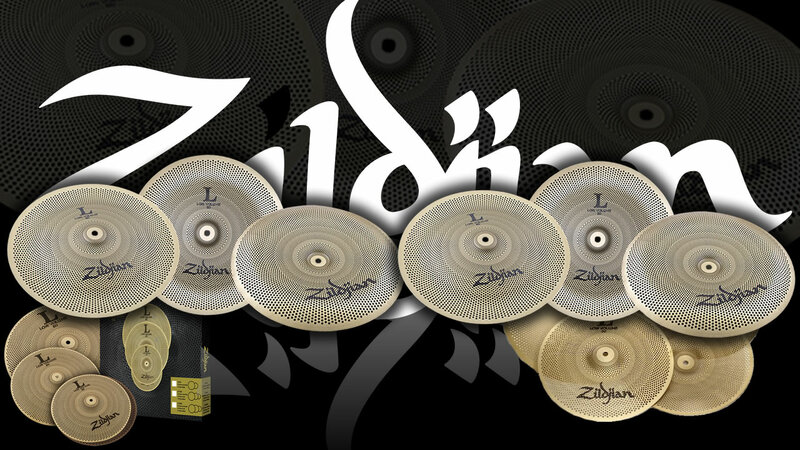 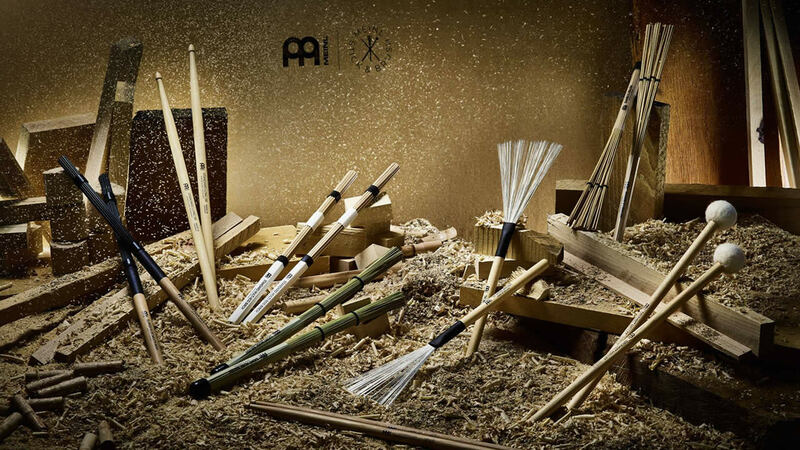 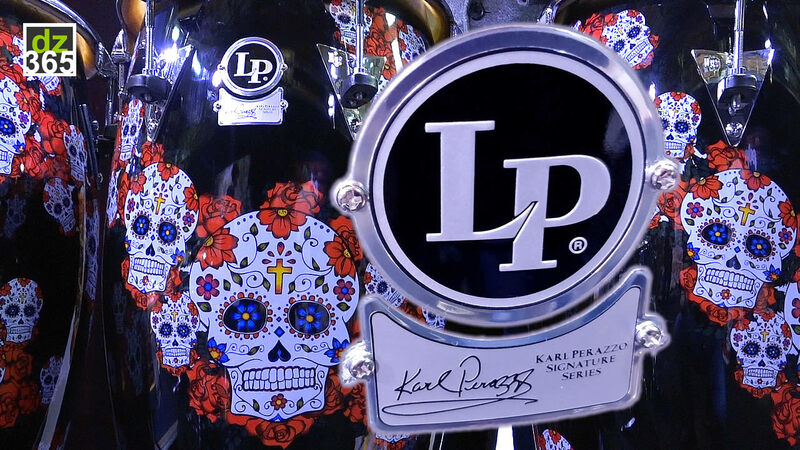 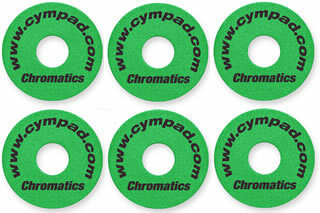 He has designed "The Rabb Pack," a Signature Series of cymbals for the Meinl Cymbal Company. 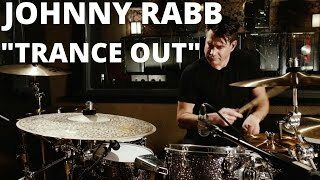 Johnny Rabb believes that education is the most important element for the future and continues to find opportunities to share his knowledge with musicians worldwide. 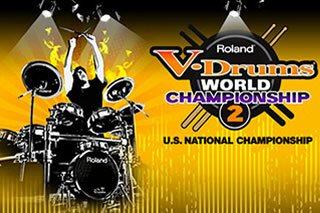 Clinician Johnny Rabb earned the distinction of "World's Fastest Drummer," as recognized by the Guinness World Records, by playing 1,071 single strokes in 60 seconds on a live broadcast of VH1's Rock and Roll Record Breakers. 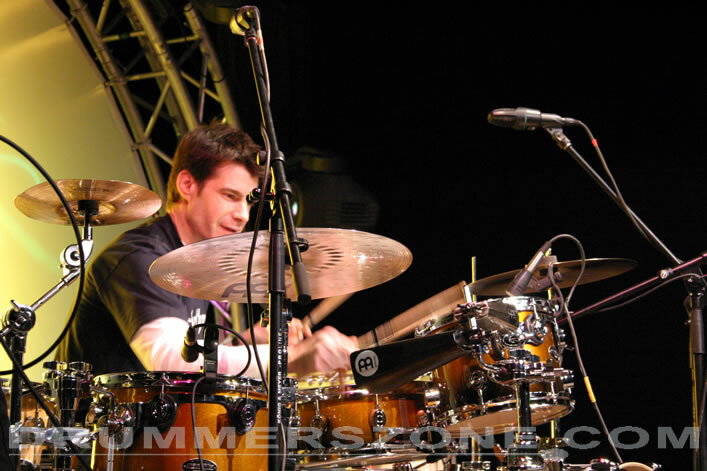 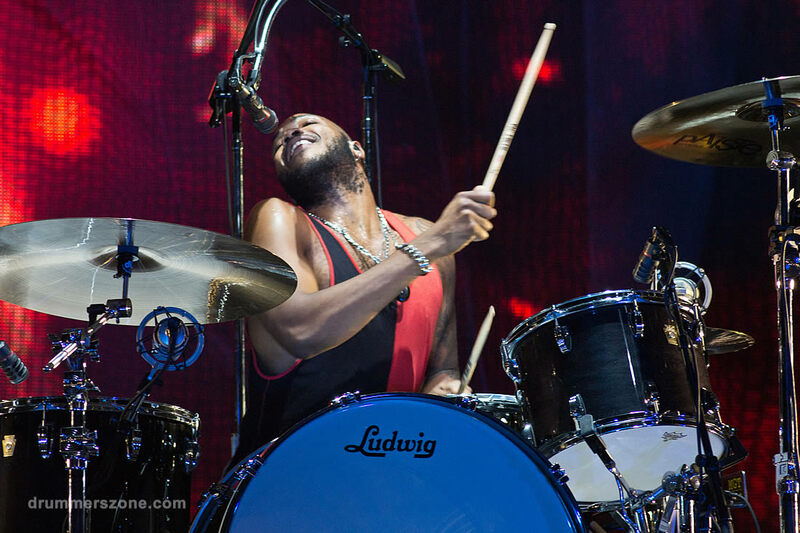 Johnny Rabb received his first drum set at the tender age of three. 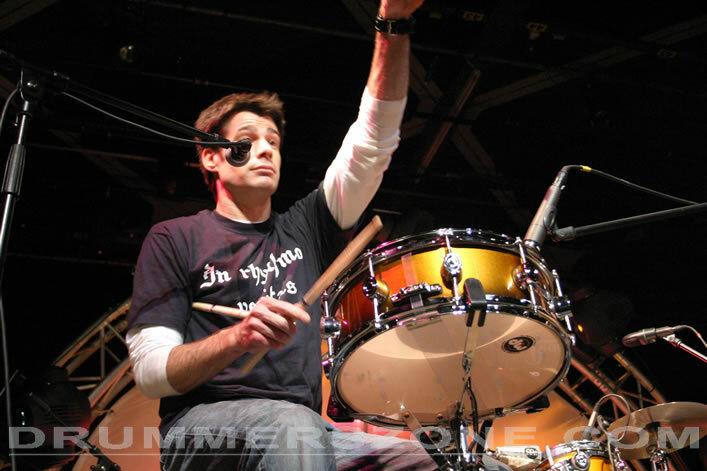 With the support of his parents and the influence of live concerts and instructional clinics, Johnny began to excel at a tremendous rate. 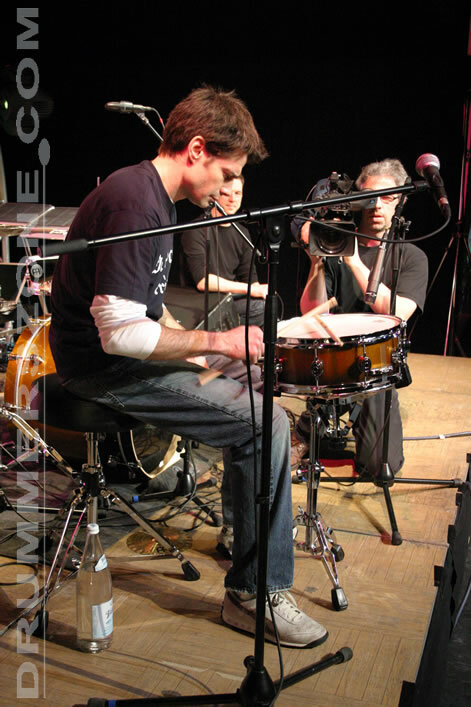 Johnny's dedication to his new love and eventual life's pursuit led him to the prestigious Berklee College of Music to pursue degrees in Education and Performance. 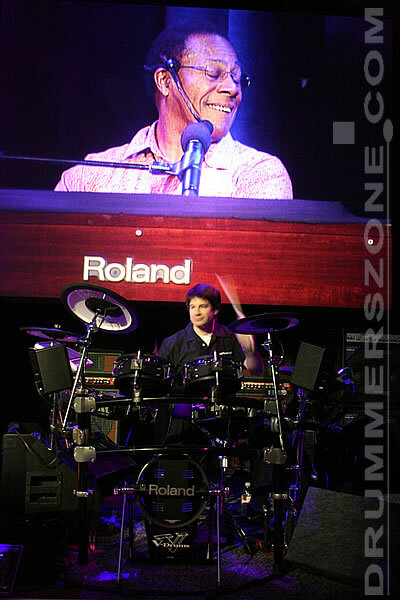 After the course of study and musical experimentation, Johnny relocated to Nashville, Tennessee, where he invented the award-winning RhythmSaw. 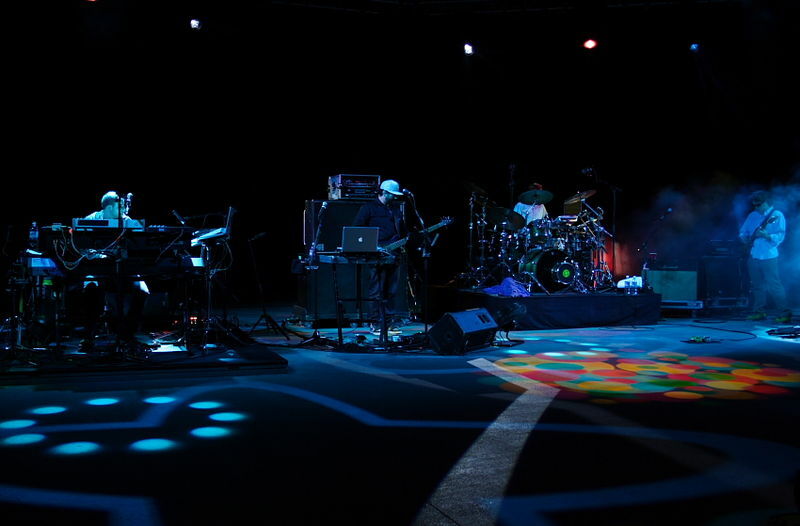 Playing with touring notables such as Tanya Tucker and Hank Williams III provided the excitement of live performances, along with the creative contribution of writing and developing children's books/videos and educational workshops. 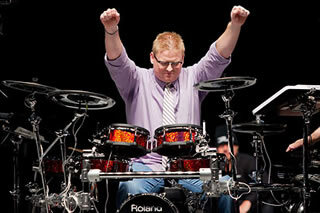 Johnny Rabb was asked to participate in an event sponsored by the Nashville Percussion Institute by founder Boo McAfee. 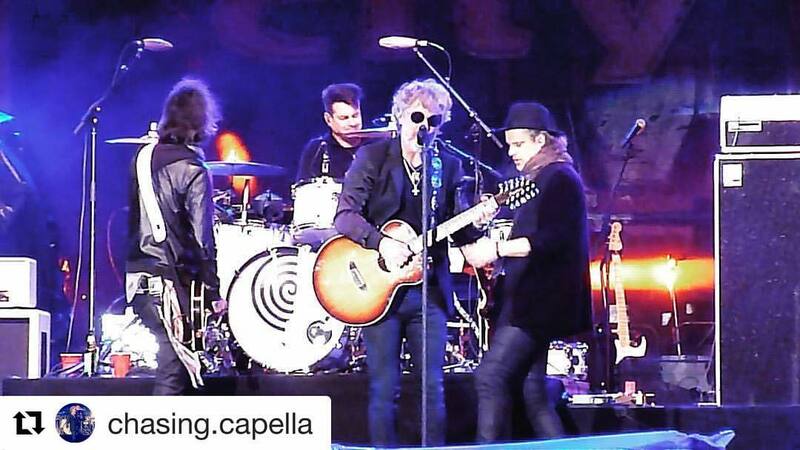 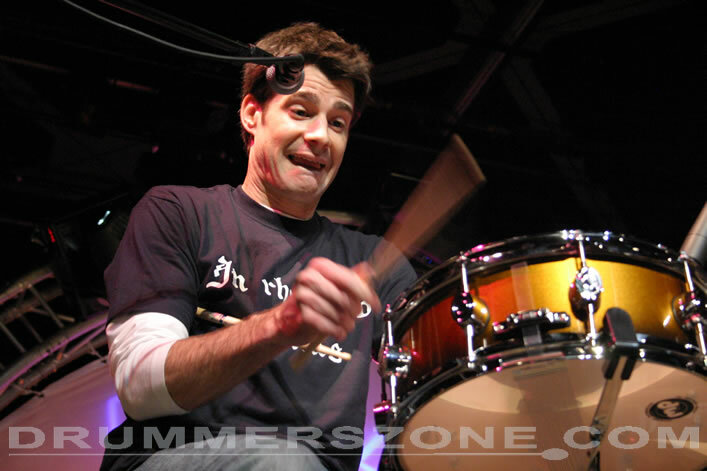 Johnny has the uncanny ability to play single-stroke rolls at an incredible speed. 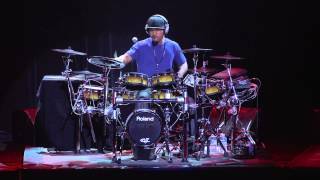 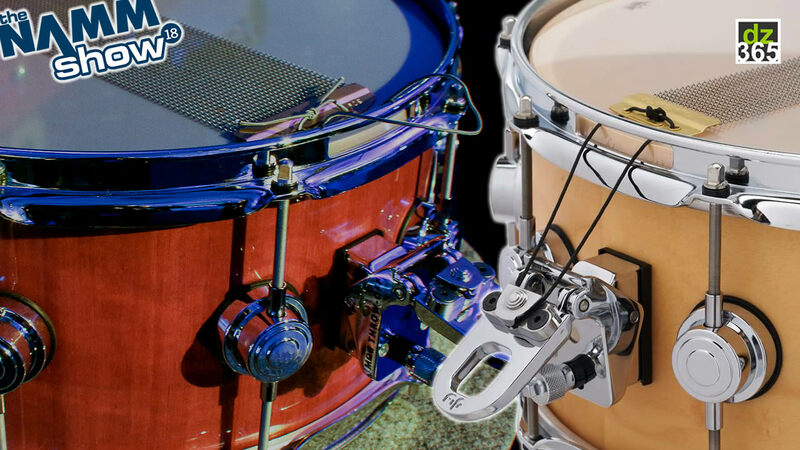 With the assistance of McAfee and a device named the Drumometer, the first competition for The World�s Fastest Drummer was born. 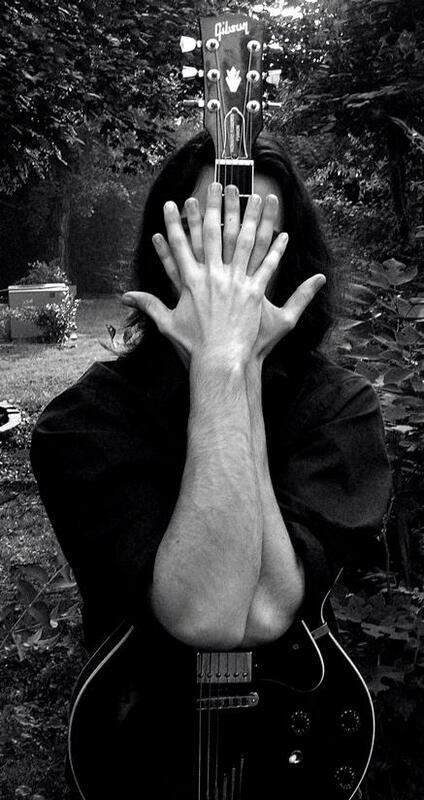 Johnny won hands down and, in doing so, came to the attention of the Guinness World Records committee. 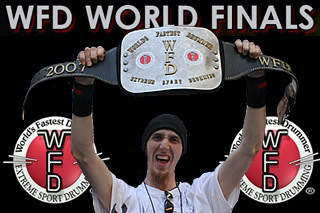 Johnny was asked to defend his title live at the Guinness World Records Experience in Orlando, Florida. 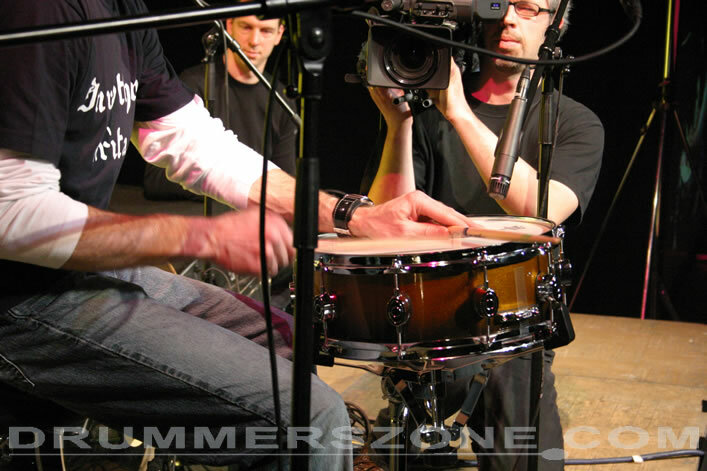 The attempt was documented by VH-1 for a show called Rock & Roll Record Breakers. Johnny not only defended but broke the existing world record of 1026 to play 1071 single strokes in 60 seconds. 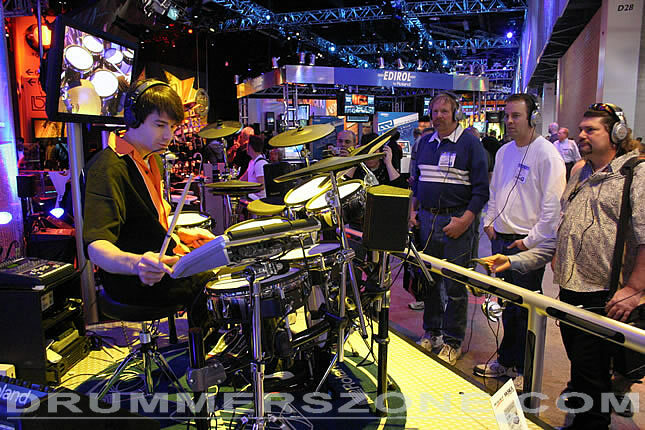 Johnny Rabb is featured in seven interactive displays at the Guinness World Attractions, including Orlando, FL, Gatlinburg, TN, Hollywood, CA, and Copenhagen, Denmark. 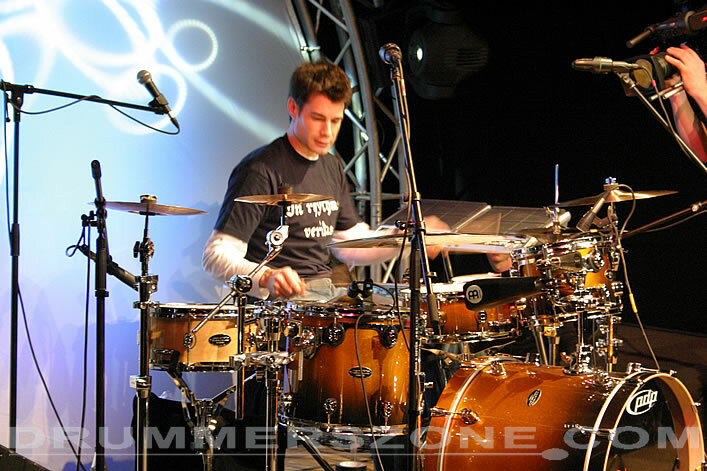 Johnny is currently participating in a number of clinics throughout the world to outstanding reviews. 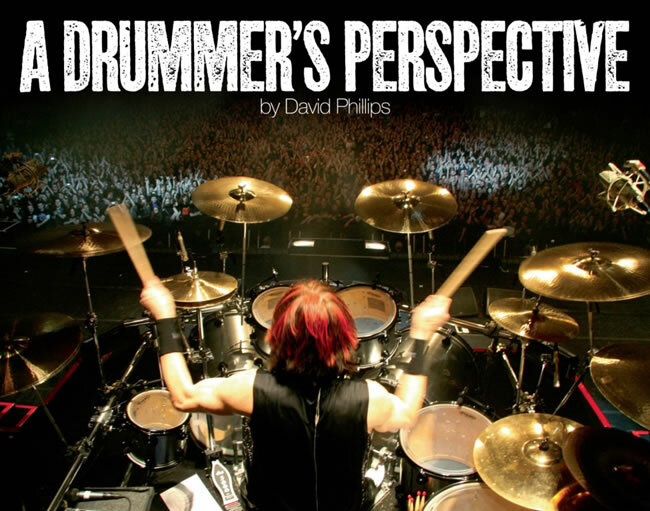 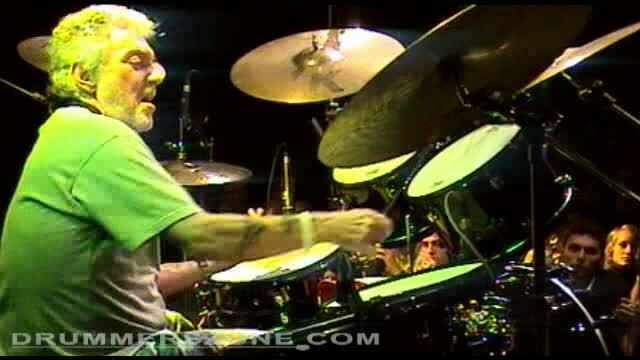 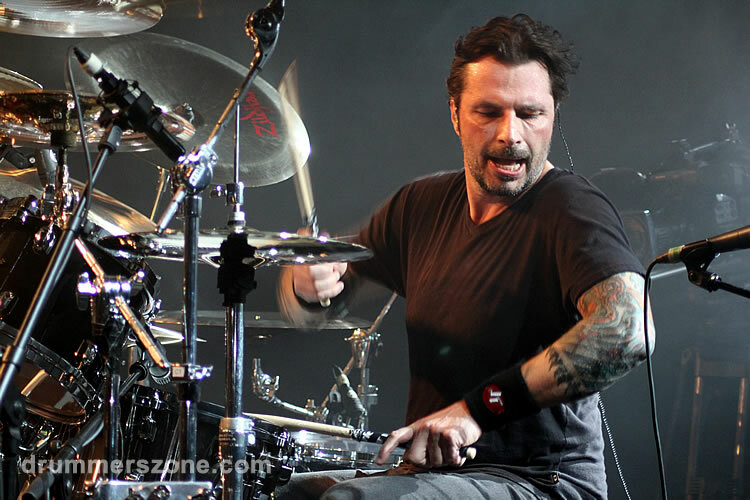 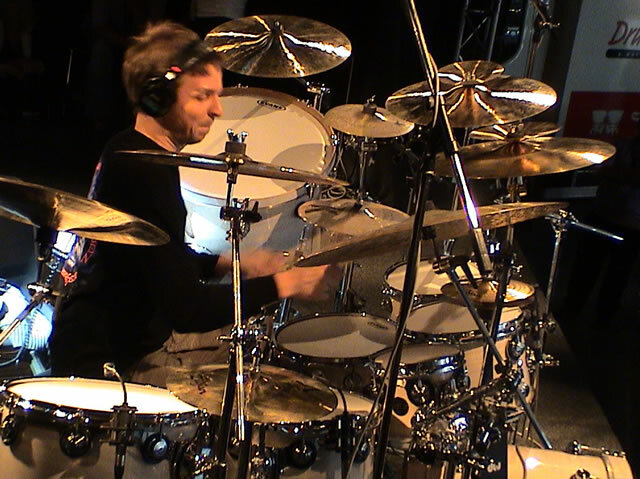 He performed a memorable show to a capacity crowd at the Montreal Drumfest and also performed in France, Italy, and at the Musik Messe in Frankfurt, Germany... a tour together with Marco Minnemann and Thomas Lang. 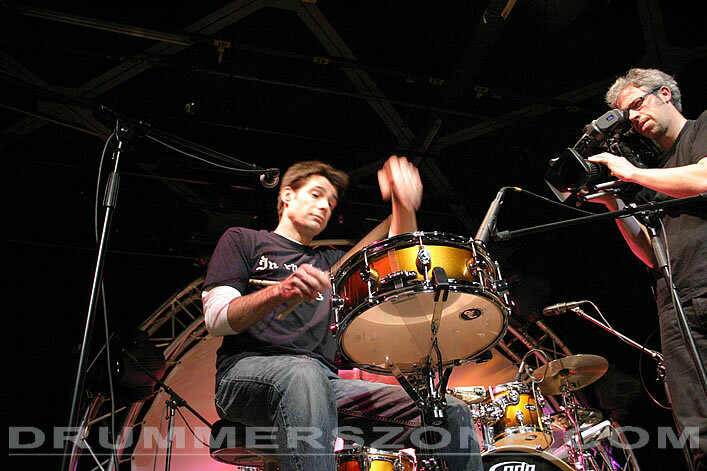 Johnny Rabb has been a faculty member for the KOSA Festival for the past two years. 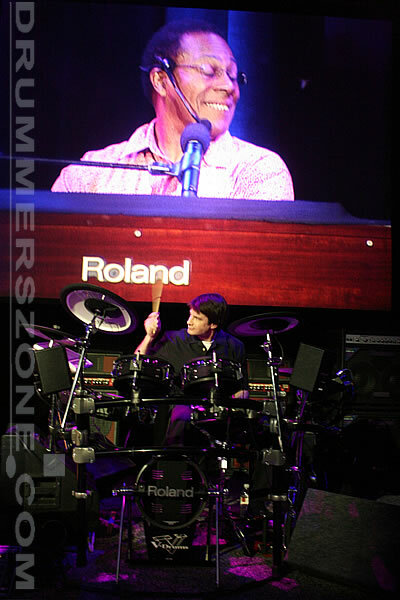 He was honored to be able to play at the Percussive Arts Society International Convention in Nashville, TN. 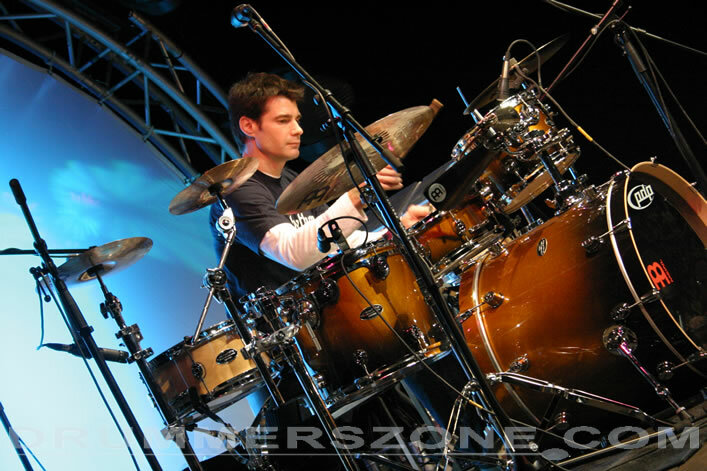 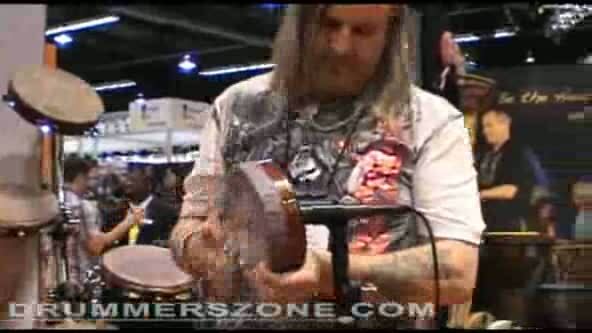 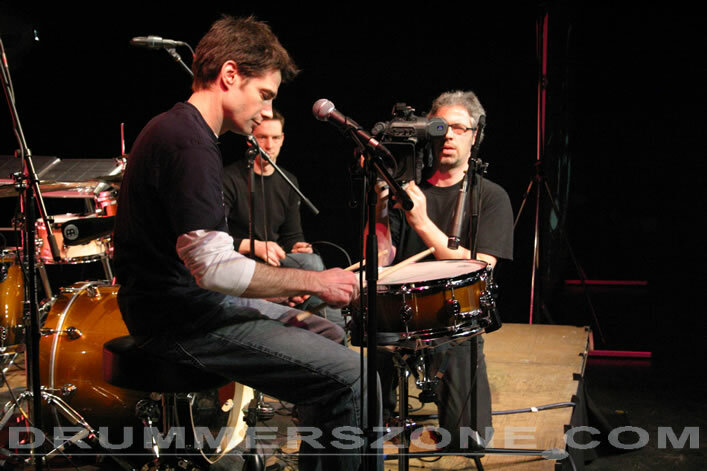 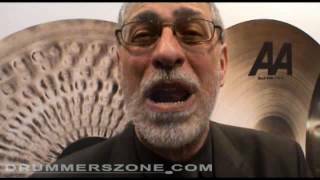 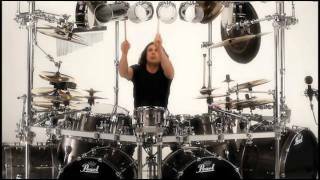 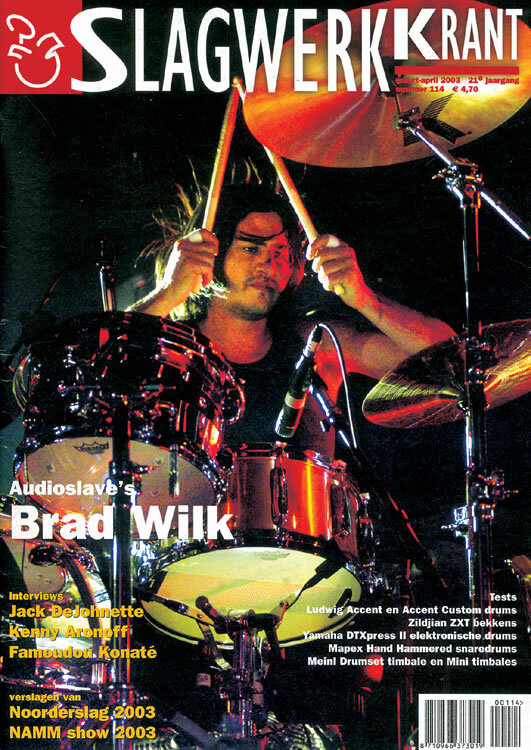 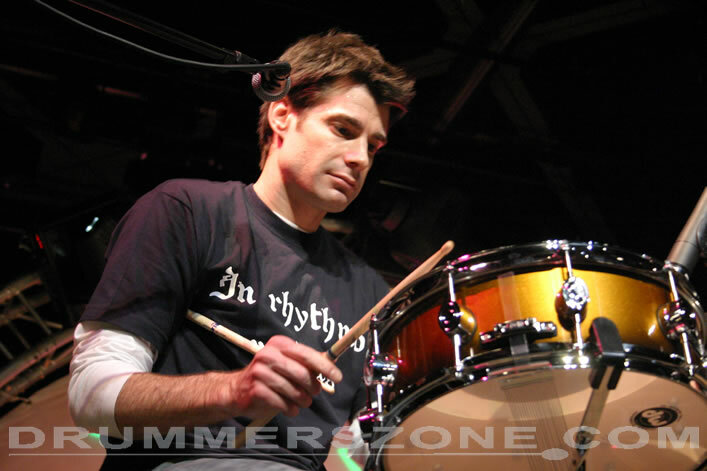 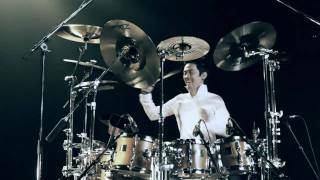 He has published his own instructional drum videos, children�s books, and solo album. 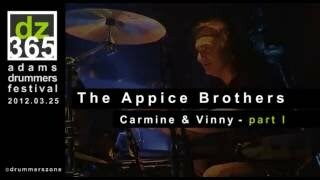 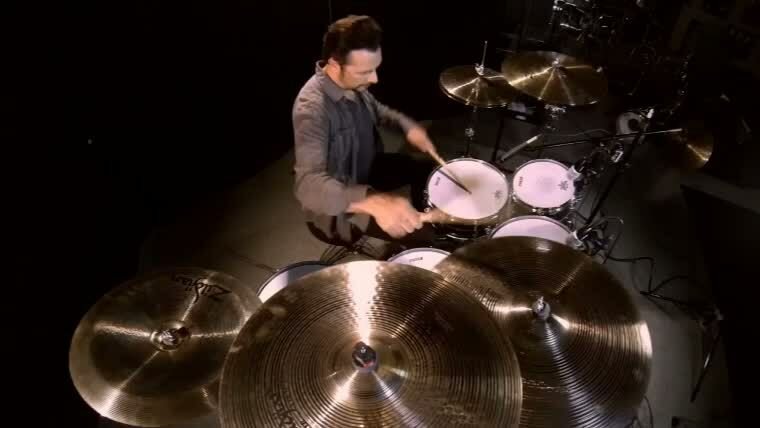 He has designed "The Rabb Pack," a Signature Series of cymbals for the Meinl Cymbal Company. 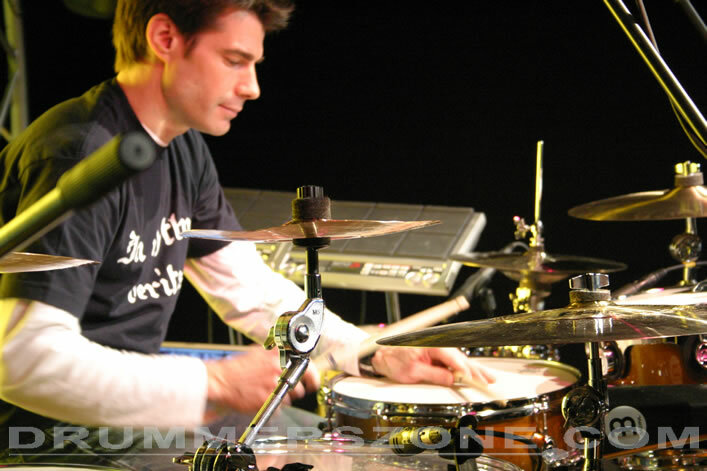 Johnny believes that education is the most important element for the future and continues to find opportunities to share his knowledge with musicians worldwide. 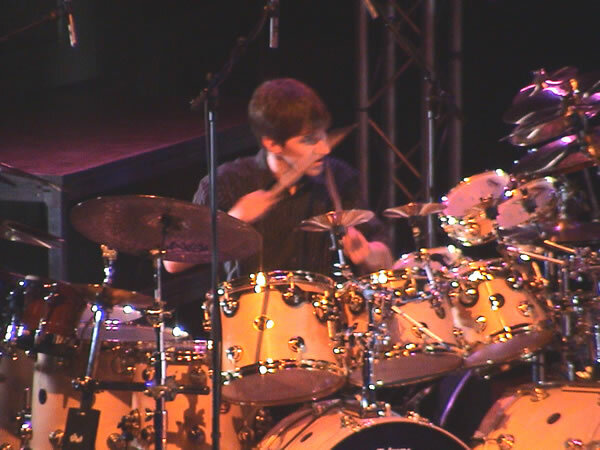 Official page for Johnny Rabb. 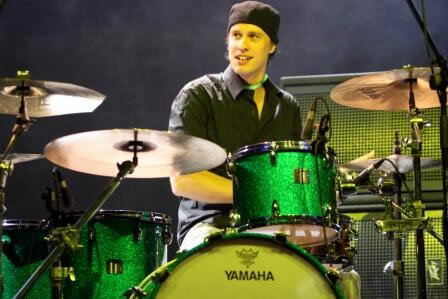 Drummer for Collective Soul and BioDiesel.